Since its legal registration in 1992, ICAR centre Bucharest focused on providing free medical, psychological, social and legal assistance to those who, for political reasons, experienced the harsh repression of totalitarian regimes. ICAR Foundation is the first and also the only organization in Romania that has set out and implemented such a program. ICAR Foundation helped the establishment of other 2 rehabilitation centres: in Iasi ( 1995) and Craiova (1998). The centers started by offering a various range of rehabilitation services to victims of serious human rights abuses (such as arrest, condemnations on political, ethnical or religious ground, deportation, exploitation, extermination in concentration camps, torture, inhuman or degrading treatments) among former political prisoners and their immediate families either by in-house services or by referral to external professional networks. 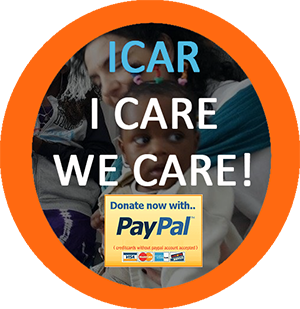 From 2002 ICAR Foundation has extended its target population to refugees and asylum seekers, survivors of gross human rights violations in their country of origin. For this purpose collaboration protocols were signed with the relevant national authorities such as Romanian Immigration Office (ORI), United Nation High Commissioner for Refugees (UNHCR), local authorities and institutions. 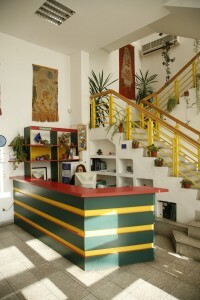 An office in the Bucharest refugee reception and accommodation centre was opened. The staff and volunteers organize their psychosocial counseling sessions, Romanian language classes, information sessions, cultural orientation sessions and different social activities for asylum seekers and refugees living in the centre. In 2010 ICAR Foundation has opened outreach offices in all other reception and accommodation centres of the Romanian Immigration Office throughout the country: Galati, Radauti, Timisoara and Somcuta Mare. The geographical expansion was possible due to the project ”Specific social and psychological assistance for asylum seekers in Romania”, ref. no. ERF/09.01/02.01, financed through the General Program ”Solidarity and Management of Migration Flows” – European Refugee Fund. • Recognition of and gratitude for the survivors of gross human rights violations (i.e. arrest, condemnations, execution on political, ethnical or religious grounds, deportation, exploitation, extermination in concentration camps, torture, inhuman or degrading treatments etc.) through creation and access to comprehensive rehabilitation services. • Promotion of victims’ and their families’ right to medical and psychological rehabilitation, to moral, legal and social redress, including financial compensations. • Contribution to the life standard of primary and secondary victims of gross human rights violations among former political prisoners, refugees and asylum seekers, through provision of comprehensive rehabilitation (medical, psychosocial and legal). • Support to activities of prevention of gross human rights violations and of awareness raising concerning their consequences.